According to Hindu diary, Ram Navami falls on ninth day (navmi) of Chaitra month. Ram Navami, also referred to as ‘Srirama Navami’, is a Hindu celebration that is generally observed in the month of March or April. However, Ram Navami in 2016 will be observed on Friday, fifteenth April. The celebration symbols Lord (bhagwan) Rama’s Birthday. 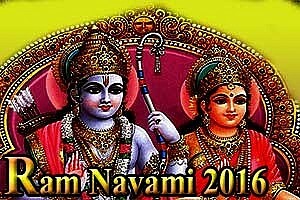 Ram Navami is usually observed in India but is widely known in all Hindu societies worldwide. Ram Navami, in India, is a public holiday. Ram Navami is a vital day for Lord (bhagwan) Rama’s worshipers. Celebrations on this day begin with prayers and observing fast. One of the best places to see the festivities arrived is Ayodhya, the city where Lord (bhagwan) Rama was born. The entire city is decorated with illumination lights and garlands of flowers. The procession of decorated chariots is what you shouldn't ignore. These chariots are the popular features of the grand celebrations. One of the leading celebrations of India, Holi is celebrated with enthusiasm and gaiety on the full moon day in the month of Phalgun which is the month of March as per the Gregorian calendar. Holi festival may be celebrated with various names and people of different states might be following different traditions. But, what makes Holi so unique and special is the spirit of it which remains the same throughout the country and also across the globe, wherever it is celebrated. 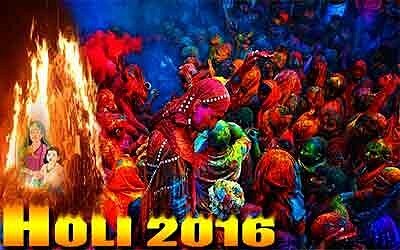 Entire country wears a festive look when it is time for Holi celebration. Market places get abuzz with activity as frenzied shoppers begin making arrangements for the celebration. Heaps of various hues of gulal and abeer can be seen on the edge days before the festival. Pichkaris in innovative and modern design too come up every year to lure the children who would like to collect them as Holi memorabilia and of course, to drench everyone in the town. Womenfolk too begin to make early preparations for the holi festival as they cook countless gujiya, mathri and papri for your loved ones as well as the relatives. At some places mainly in the north females also make papads and potato chips at this time. In spiritual we can say holi muhurt is powerful for gaining wealth, prosperity, Uchchatan, vashikaran and Vidveshana. Lots of sadhak wait for this muhurth for fulfill all wishes. This day you can perform any sadhana, pooja, diksha for success.